​The re-designed vertical lift geometry of the SUPER BOOM® enables operators to load material right in the centre of the truck bed. In addition, its pivot point is very close to the machine's centre of gravity, resulting in exceptional stability of the machine at work. 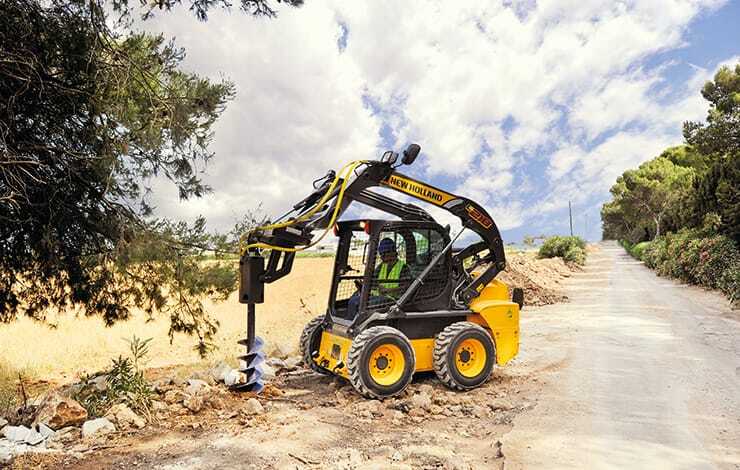 ​​​New Holland skid steer loaders have a long wheelbase, which combined with a low center of gravity and a correct front-to-rear weight distribution, result in a smooth and stable ride. ​200 Series offer many choices in terms of auxiliary hydraulics, providing great versatility by powering a wide variety of hydraulic attachments. 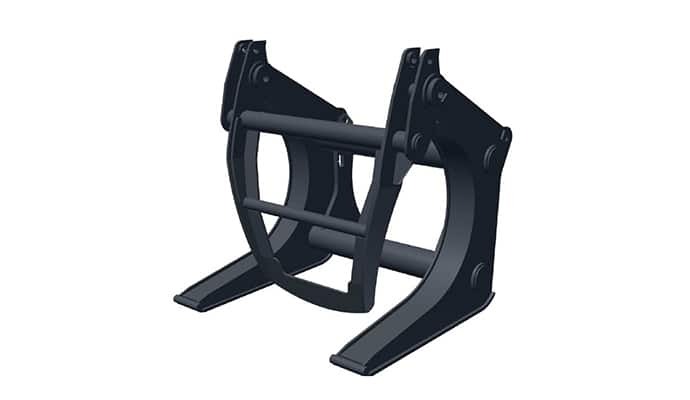 STANDARD FLOW: The standard flow package is included on every machine (standard feature) and is able to handle most common hydraulic attachments. 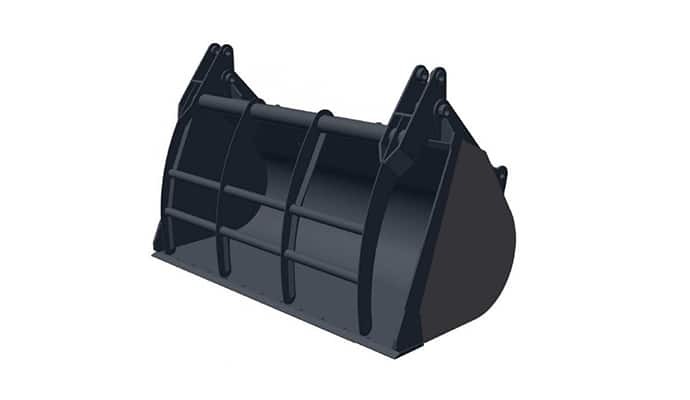 HIGH-FLOW: up to 55% more flow to manage certain attachments that require more hydraulic power to work properly such as cold planers, wheel excavators or small mulchers. ​The new cab offers best-in-class comfort, with plenty of head and leg room. The good news is that the wide cab is standard on every model, big or small. 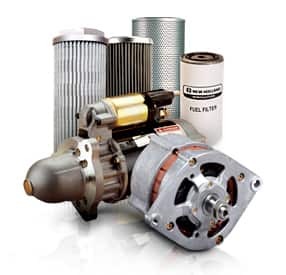 ​When routine maintenance is easy it gets done! 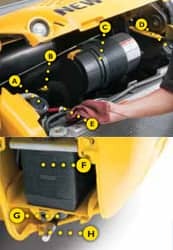 The service points are grouped and easily accessible from the rear compartment door.